Chihuahuas 101: Long or Short Hair? So you want to share your time with a Chihuahua. Congratulations! Chihuahuas are wonderful companion pets and lap dogs. Known for their loyalty and attachment to one individual, Chihuahuas are generally pretty low-maintenance but do require a great deal of attention and attendance to possible health issues. Chihuahuas (or "Chis" as they are known affectionately to their owners) come in two varieties: long and short hair. Here are some things to consider when deciding between these types. Allergies. Many people are allergic to dogs. The actual cause of the allergy is pet dander. Both long and short hair dog varieties produce dander. Some allergy sufferers learn that they are more allergic to one type of hair than the other, so preference may depend upon the person. To reduce allergic reactions to Chihuahuas, maintain their coats and brush them frequently. Vacuum often, especially around short haired dogs. Chihuahua owners suffering from allergies should also train their dogs--while it's usually innocent for a small dog to jump up and climb on a person, a Chihuahua can inadvertently trigger an allergy attack if too close to the face. Environment and climate. Chihuahuas come from Chihuahua, Mexico. They've adapted to that type of environment--often warm, hot and sunny. They're also small dogs and they get cold very easily. If you're in a hot climate, it may be more practical to own a Chihuahua with short hair. Conversely, dogs with long hair do better in colder environments. Regardless, it's always best to keep an eye on your dog during hot or cold weather conditions to ensure her comfort and safety--bring some extra water along when traveling in hot months, and during cold seasons don't forget the Chi sweater! Maintenance. If time and money are a concern, consider the maintenance costs of your new best friend. Chihuahuas incur vet costs like any other dog, but they eat comparatively little, they are easy to entertain and if you own a short hair, grooming is simple. You can brush the short hair dog at home. Depending on the demeanor of the dog, you may wish to take the long hair Chi to the groomer on occasion, but generally you can brush their coats at home, too. Occasionally, long hair Chihuahuas will encounter additional problems--matted fur, feces stuck on tail or weeds and outdoor objects tangled in the fur. Aesthetic. Most Chihuahuas are adorable, but what type of dog do you prefer? Long hair Chis are sometimes considered cuter, especially as puppies, because they are fluffier and softer to the touch. Before purchasing a Chihuahua, do some research on the advantages and disadvantages of each coat; also discuss the options with other members of your family. Do you prefer long or short haired Chihuahuas? 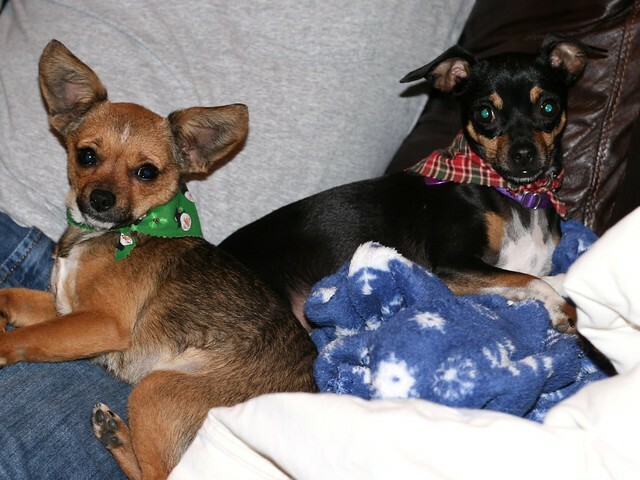 This post was originally published on Examiner.com as Chihuahua Examiner. Republished with permission of the author.